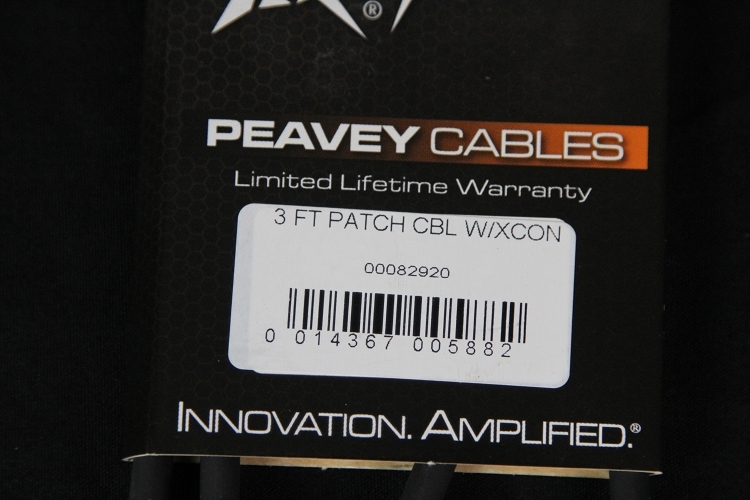 Here is a new Peavey instrument cable, with a lifetime warranty from Peavey. Made in the USA Shipped free in the USA. We are a Peavey dealer. Let these 3' cords give you the true sound of your instrument. In another listing we do have 15 foot cords for the steel guitar player or guitar player, same quality. Note: in one of the cord pictures I show the grey 15' ft. cord. We are only selling here the 3 ft. black cord here for $10.79 See another listing for the grey 15 ft. cord.